The Legendary Ron still has it at 87! A slice of NSL history by the Jones boy! 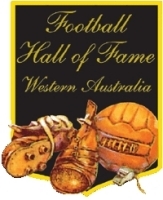 RITA Richardson, who was inducted into the Football Hall of Fame WA in 2008, has died at the age of 71. Our Ashley Conquers The World!